Structured Cabling allows for the efficient and flexible delivery of data or voice transmission services to a user. 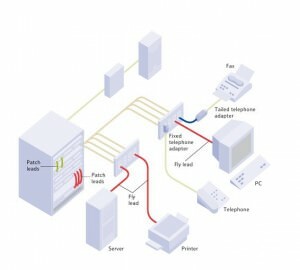 Using industry standard communications/patch cabinets, an end point can be configured to be a voice connection for telephones, modems or facsimile machines or a data connection for PCs, networked printers or workgroup file/print servers. Our Structured Cabling solutions provide the infrastructure to support all your communications requirements. The major advantage of structured cabling is it allows the users to make changes to office layouts in a matter of minutes. This can be as part of major departmental restructuring and moving floors or simply an individual to an alternative desk, they simply plug in and get back to work back straight away. This in built flexibility means your organization can save time and money in times of expansion. We install structured cabling to Category 5e / 6 standards. T&W Electrical install Conventional and Addressable fire alarm systems to a range of buildings from shops and large industrial units. Systems can be linked to remote monitoring stations and Intruder alarms. 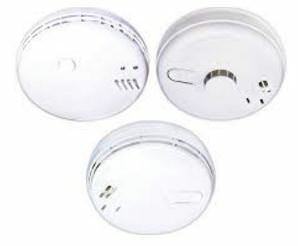 T&W Electrical install Mains interlinked Smoke, Heat and Carbon monoxide systems to provide life protection inline with current building regulations. The latest series of wireless interlink devices can also be retro fitted to buildings where only minor alterations are being carried out.